The Irish Universities Association (IUA), of which President MacCraith is a council member, recommended the introduction of an income-contingent loan scheme for higher education, at the first in a series of meetings of the Joint Oireachtas Committee on Education and Skills. This committee is to consider the recommendations of the report by the government’s higher education funding working group, which is actively referred to as the Cassells report. President MacCraith said the “free fees” system introduced in Ireland 20 years ago had failed to bridge this social divide. “In effect, free fees were a subvention for the middle classes,” he said. In light of the recent US election of Donald Trump, who pledged to clash US corporation taxes, MacCraith said it was a reminder of the need to ensure Ireland produces top-quality graduates to compete for inward investment. The IUA, lobbyist and representatives of Irish universities, is calling for the creation of a multi-funded system that would see the state, students and employers each contributing to the cost of higher education. President of the University of Limerick and IUA President for 2016, Prof. Don Barry made the opening statement of the night, expressing that an income-contingent loan scheme should be included as part of the student contribution. “Regardless of the level of the charge, there are arguments in favour of deferred payment,” he said. He also responded to concerns from the committee regarding the impact a loan scheme would have on access to education. He said that that under such a system graduates would not have to pay until there were earning enough money to make it feasible. An income-contingent loan scheme would involve graduates paying back tuition fees of between €16,000 and €20,000 once their income reaches a certain threshold, over a 10 to 15 year period. Following on this, NUI Maynooth President Philip Nolan expressed that higher education was in crisis due to the rise in student numbers and a lack of State support over the past eight years. This recommendation put forward by the IUA was in stark contrast to that of the Technological Higher Education Association, which called for the removal of fees for all students in all courses below “level 8”. 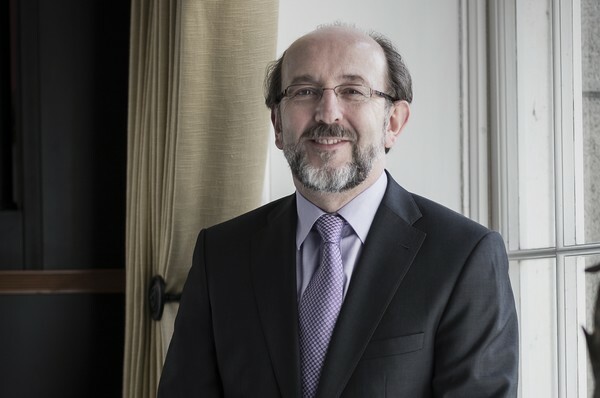 Prof Ciarán Ó Catháin, chair of the association said, “A more ambitious approach would be to provide free higher education to all students on honours bachelor degree programmes, level eight courses. This would involve an additional net marginal cost of €197 million”.